UNIVERSITY OF PITTSBURGH CHEVRON SCIENCE CENTER ADDITION — Burchick Construction Company Inc. This addition, built over top of the Ashe Auditorium in the Chevron Annex Building, houses two floors of laboratory space totaling 20,000 square feet. The project is LEED certified. The building has a terra cotta rainscreen and metal siding façade, which Burchick Construction self-performed. Close coordination was required with the curtainwall and roofing contractors, as these were separate prime contracts. The structure is fireproofed steel erected through the existing Annex building, founded on micropiles and concrete pile caps. 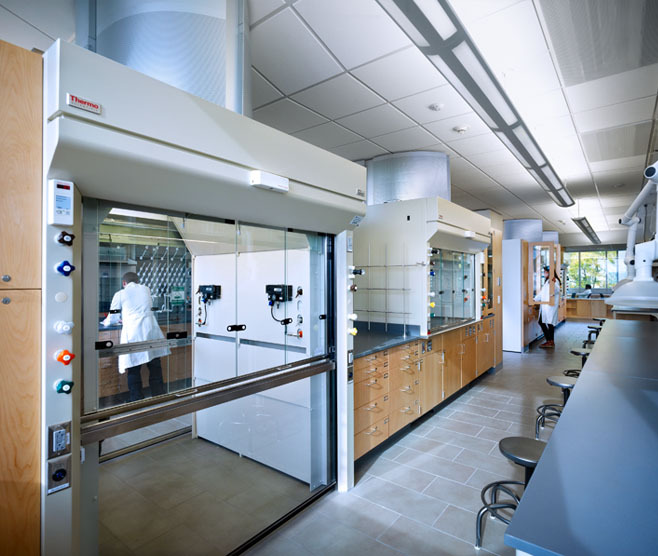 The project included two floors of laboratory space with extensive casework, fume hoods, and other equipment. Sitework included concrete sidewalks, walls and curbs, stone paving, unit paving, landscaping, and other site amenities.